Wow, what a surprise this must have been. The 17th-century oil painting discovered behind a wall during construction of the Oscar de la Renta boutique in Paris. I am so glad that the painting was not accidentally destroyed before this discovery. Check out this recent archeological find - "Lucas Asicona Ramírez probably had no idea that he was embarking on an archaeological excavation five years ago when he began scraping down the plaster on the walls of his 300-year-old home in Chajul, Guatemala. 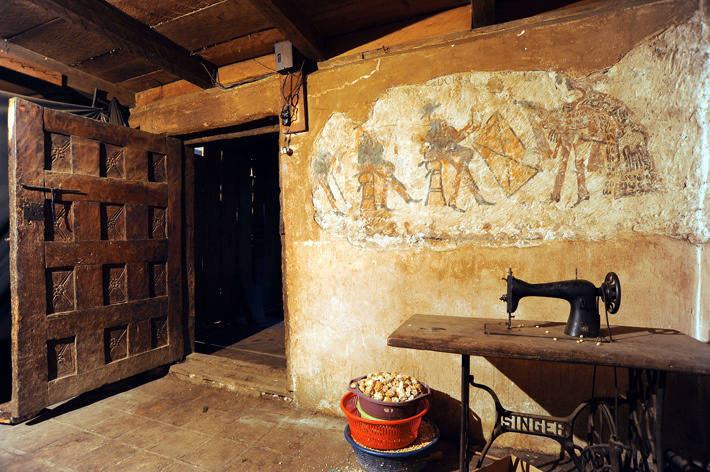 But his renovation uncovered a series of murals that had been painted by his Ixil Maya ancestors in the years after the Spanish conquest."